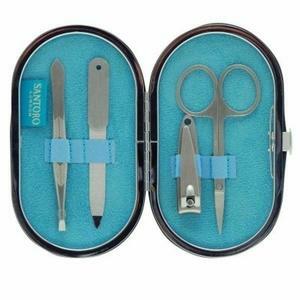 SANTORO's elegant and compact manicure set is every girl's beauty dream! 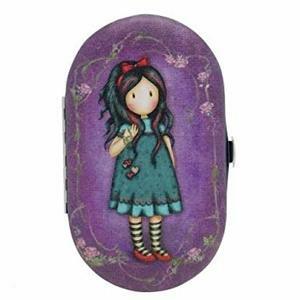 Packed into a charming little case, featuring the bright and bold Pulling On Your Heart Strings artwork, are all the key day-to-day beauty pieces; Tweezers, scissors, nail file and nail clippers. With a small and safe fastening and pretty blue lining, simply slip this into your bag and spoil yourself. Approx. 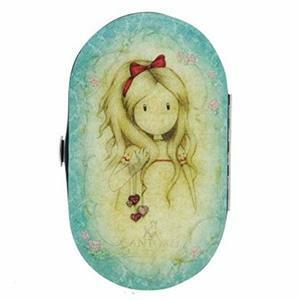 Size: 12 cm wide, 7 cm high and 2 cm depth.